Last week me and my family went to see the Fabulour Baker Brothers at Stratford Food Festival and they were as good as I hoped they would be! Tom and Henry did a brilliant talk and kept everyone entertained despite the horrible weather outside, the hard chairs and the rain leaking through the roof. I would love to see them do a talk again and it hopefully shouldnt be too long till their new series starts. 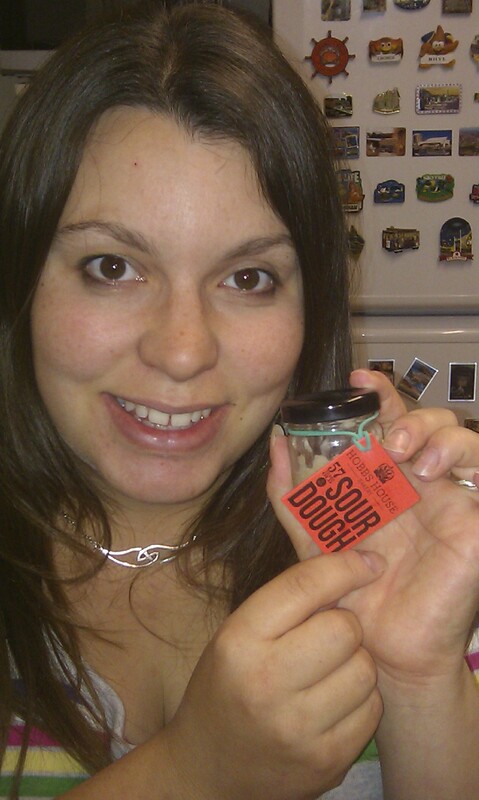 The other thing we managed to get was a small jar of 57 year old Hobbs Bakery Sourdough starter. It was a bit of a squash to get one but both me and my dad are now proud owners of our own little jars and last night we started our own one. Find a suitable container to house your sourdough. A Kilner jar is good. Clean it well and weigh it while it’s empty, noting the weight on an address tag or label. (any of these will work well), then weigh in 75g/ml warm water. 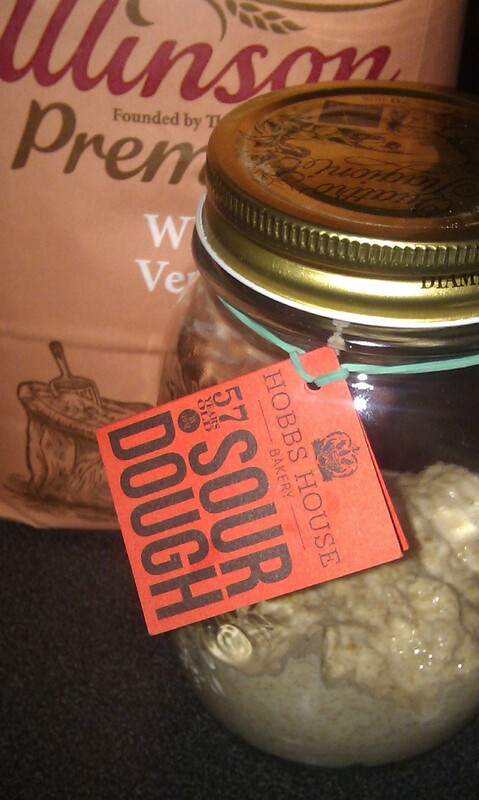 Using a spoon, add your Hobbs House 57 year old sourdough to your flour and water and stir. Leave your jar in a prominent and warm place (its second home) in your kitchen, with the lid sealed. Each day for up to a week (though a couple of day should do it), repeat the feeding process (75g flour and 75g water, as before), stirring vigorously with a clean finger or a fork to remove all floury lumps until you notice bubbles in the dough. Like the first windy smile of a baby, you know that soon enough it’ll be laughing and telling jokes, and you’re on your way to the most rewarding kind of baking. Once you can see bubbles in the jar you can start to keep the sourdough culture in the fridge (its first home), only removing it on the morning of baking day, to feed it back into full bubbly liveliness (75g flour and 75g water, as before). If it dies (“de-natures” – you’ll know because it will smell disgusting), bin it and start again. With a bit of good husbandry and some forward planning, your sourdough could live forever. I have made mine with wholemeal flour and all going well, I will be able to have my first sourdough loaf on Saturday. Fingers crossed it will work, wish me luck.